AABR publishes a regeneration anthology. Home/Case Studies, What's New/AABR publishes a regeneration anthology. 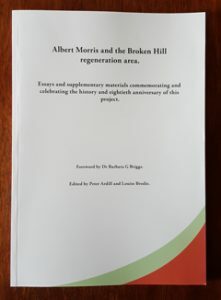 The Australian Association of Bush Regenerators (AABR), a national organisation committed to the promotion, study and practice of bush regeneration and ecological restoration, is pleased to announce the new release of an anthology that commemorates and celebrates the Broken Hill regeneration area, one of the world’s earliest natural regeneration and ecological restoration projects. Everything that you need to know about this project is now brought together in one volume of 120 pages! Albert Morris and the Broken Hill regeneration area. Essays and supplementary materials commemorating and celebrating the history and eightieth anniversary of this project is a compilation of photographs, newsprint media and articles, both historic and new, which describe the dramatic history of the regeneration area, its spectacular botanical recovery, the natural regeneration and ecological restoration significance of this project and all of the events of the celebration that took place in Broken Hill in August, 2018. A wonderful memento for those who visited Broken Hill with AABR in August 2017. Essential reading if you were not able to make the 2017 trip! Lavishly illustrated with over 40 b&w and colour illustrations, including historic photos from the 1930s and contemporary work by Virginia Bear, Little Gecko Media. Historic newspaper articles depicting the development of the regeneration area, as reported at the time. Regeneration history in the making! Margaret Morris’s revealing and important 1939 Australian Journal of Sciencearticle describing the development of the project and the recovery of the local flora. An early example of environmental repair reporting. Foreword by Dr Barbara G Briggs, niece of Margaret Morris and noted Australian botanist. Literature review of the major works that have contributed to our understanding of the historic and contemporary significance of the regeneration area. 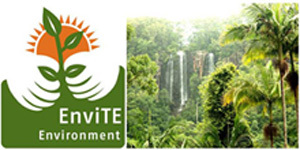 Dr Tein McDonald shares insights into the employment of ecological restoration principles on the regeneration area project (reprint). 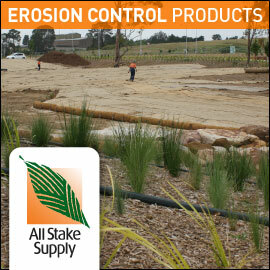 Includes a new article of ten pages, The South Australian arid zone plantation and natural regeneration work of Albert Morris,by Peter Ardill. Morris initiated two pioneering natural regeneration projects in Whyalla in the 1930s and this article, for the first time, describes these projects. Contains several historic photographs which dramatically and positively demonstrate the efficacy of Morris’s natural regeneration work there. Reproductions of all of the Award citations that were presented at the Albert Morris Award dinner, August 24, 2017. Available in soft cover print book version only. Limited stock. RRP: From 1/1/19 the cost will be $27 plus $8.55 postage if required. Net proceeds to AABR. Note: The anthology contains some content already published on the AABR website.